What are the factors that drive customers to your door? You might think you know the answer to that question. I thought I did. Then I met Kristin Zhivago. She attended a webinar on The Benefits of a Top-Five Blog I produced for the Independent Book Publishers Association (IBPA). I later requested a meeting at Book Expo America, but Kristin couldn’t attend. 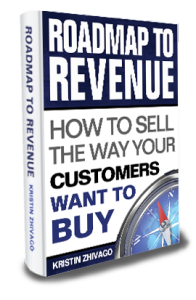 She asked for a phone appointment instead to discuss an online PR campaign for her new book, Roadmap to Revenue: How to Sell the Way Your Customers Want to Buy. We immediately hit it off. Kristin is a no-nonsense, get-down-to-business management consultant. We fairly quickly agreed to exchange online marketing services for management consulting, and we embarked on The Zhivago Method. I’m not going to review Kristin’s book because I think it’s unethical to review a book I’m being paid to promote. However, I’m on safe ground reviewing her services as a management consultant, which we have paid for. Zhivago’s main principle is deceptively simple: If you want to know how to increase sales, ask your customers. There is a whole philosophy twisted up inside that sentence. Notice that you don’t ask your employees, as some suggest, because they’re usually not your biggest customers. You don’t ask suppliers. You don’t ask the Internet. You don’t implement some plan you read about in a book or online — unless it’s based on first asking the customer. Another twist in this sentence is: You can’t reason through this yourself — bright as you are, with all your experience running your own company for many years. The only one who knows what it’s like to be a customer of yours is a customer. I feel like I know my business better than anyone. I’ve studied it, I’ve experimented, I’ve had the benefit of watching hundreds of students work out novel solutions to online marketing problems. My clients pay me because I am an expert. So why should I ask my clients how to run my business? And there’s the next twist in the concept: Zhivago responded that I’m not asking my customers how to run my business. I’m asking them about their buying process. How did they come to choose me? Why did they choose me? Once I realized my expertise was not going to be called into question through these surveys, I became less defensive. Only a customer knows how they came to buy from you. Ask them, and then reverse-engineer a successful sale and replicate it. That is The Zhivago Method in a nutshell. So we asked our customers. Zhivago set up phone interviews from a client list we provided. 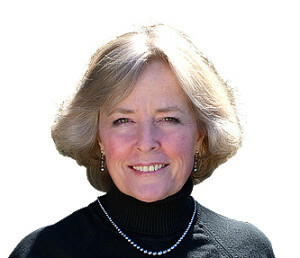 She says email surveys, Web surveys, and written questionnaires simply won’t tease out the answers you need. Your customers have to be interviewed by someone who knows how to do it and, hopefully, also knows enough about your business to navigate the terminology. Zhivago records the interviews and sends them out for transcription. She then pores over the interviews looking for common threads, which lead her to a summary document and a set of recommendations. I didn’t think I would learn much from the interviews I didn’t already know. Was I ever wrong! The first thing that struck me, reading the transcripts and summaries, was that my clients confused our firm with other vendors. They credited us with campaigns we did not do. They mixed up the services we offer with services offered by competitors. Initially, I wanted to dismiss the results because they were partly about other companies, not ours. Then I realized that was the result. Your clients can’t keep you straight because they are focused on their own issues, not on you. I was wrong about what the customers would say. I was wrong to try and dismiss the results. And I was wrong that you don’t really need to interview your customers to learn how to grow sales. There is simply no other way to get this information except by asking the customer, preferably in a phone interview by a trained professional. Interview the customers. Summarize the results. Brainstorm with management. Adjust the company’s promises, practices, products, people, and policies. Now go out there and make happy customers! For SixEstate, it means our customers are less interested in our process than their problems. Our site needs to focus on customer goals, not our methods. From there, we turned the project over to a branding expert — my brother, Kelly O’Keefe, an entrepreneur and professor at the VCU Brandcenter. I’ll save the branding story for another post. The Zhivago work plus the branding work led to a new vision of the company, a new logo, a new look for the website, and a renewed focus on customer service. We’ll be introducing the new logo and website later this month. The new mindset is firmly in place. Following the roadmap is not as simple as it sounds. We’ve been at this for over six months. That’s a lot of time to spend on branding for a company that is just two years old. And we still don’t know how “the shift,” as Zhivago calls it, will affect sales. I’ll report back on that next year. We do know that following The Zhivago Method has dramatically changed our company, hardening our resolve about our mission, and committing us to our client’s goals rather than our processes. The intriguing thing about The Zhivago Method is that you are most likely going to get a completely different set of solutions by interviewing your customers. For our company, the message was to be client-centered, not company-centered. For your company, you simply won’t know until you ask. Source: “Roadmap to Revenue: How to Sell the Way Your Customers Want to Buy,” by Kristin Zhivago, Bristol & Shipley Press, 2011. Images of book cover and Kristin Zhivago are used under Fair Use: Reporting. Steve O’Keefe is co-founder and Chief Operating Officer of SixEstate Communications. He has taught Internet PR since 1994 for Tulane University, Stanford University, UCLA Extension, Publishers University, and the PRSA, among others.